With Rob Cowan. Including Musical challenge; Music on Location: Rameau: In convertendo; Artist of the Week: violinist Reinhard Goebel, featured in Bach's Brandenburg Concerto No 3. 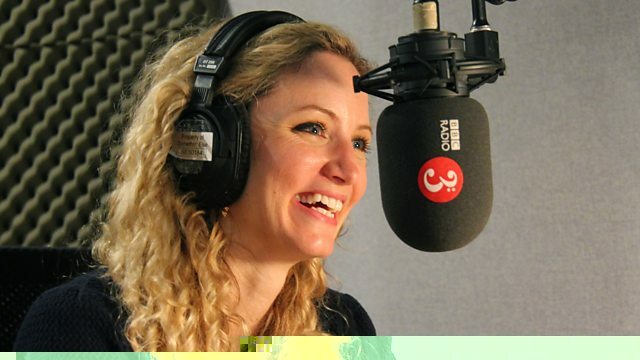 Rob's guest this week is the historian and broadcaster, Suzannah Lipscomb. Suzannah's interest in history started at home growing up near the site of one of Henry VIII's former palaces, Nonsuch, and since then she's become a Senior Lecturer in Early Modern History at New College of the Humanities, London. She's written a number of books about Henry VIII and Tudor England, and has specialised in the study of women in this period. She's also a frequent broadcaster: most recently appearing on our screens in The Great Fire: In Real Time, she also co-wrote and co-presented Henry VIII and his Six Wives for Channel 5, and wrote and presented Hidden Killers for BBC Four. As well as discussing her work as an historian, Suzannah shares her passion for classical music, choosing a selection of her favourite works, by composers including Schubert, Beethoven, Berlioz. Rob explores the Concert Spirituel, the first public concert society in France, which was inaugurated in Paris in 1725. Rameau's grand motet In convertendo was performed in a concert in 1751. Rob's Artist of the Week is the German conductor and violinist, Reinhard Goebel. In 1973 Goebel founded Musica Antiqua Köln, an instrumental ensemble initially made up of his fellow students at the Cologne Conservatory. Together they became one of the leading exponents of Baroque performance practice and have played a significant role in increasing the profile of Baroque composers such as Telemann, Heinichen, Biber and the wider Bach dynasty. Goebel usually led the group from the violin, but an unexpected focal dystonia in his left hand brought his solo career to an end and forced him to bow with the other arm. In 2000 he gave up the violin entirely and focused on conducting, but he is still Professor of Baroque Violin at the Mozarteum, Salzburg. This week Rob's chosen a selection of Goebel's recordings with Musica Antiqua Köln: their highly-acclaimed account of J.S. Bach's Brandenburg Concerto No.3, a motet by Heinrich Bach (J.S. Bach's great-uncle), part of Telemann's Tafelmusik, Biber's programmatic Battalia and one of Heinichen's Dresden Concerti. Rob marks the 150th anniversary of Canada's birth as a country by sharing a favourite recording by a classic Canadian artist. Blow, Corelli, Finger, Marini: Chaconne: Musica Antiqua Koln. Singer: Bernarda Fink. Orchestra: Freiburg Baroque Orchestra. Conductor: René Jacobs. Performer: Helmut Deutsch. Singer: Angelika Kirchschlager. Singer: Sophie Daneman. Singer: Noémie Rime. Singer: Paul Agnew. Singer: Nicolas Rivenq. Ensemble: Les Arts Florissants. Director: William Christie. Hamelin: Etudes, Con Intimissimo Sentimento, Cathy's Variations, Marc-Andre Hame. The piece of music played was Mahler's early Piano Quartet in A minor, which features in the 2010 psychological thriller, Shutter Island.